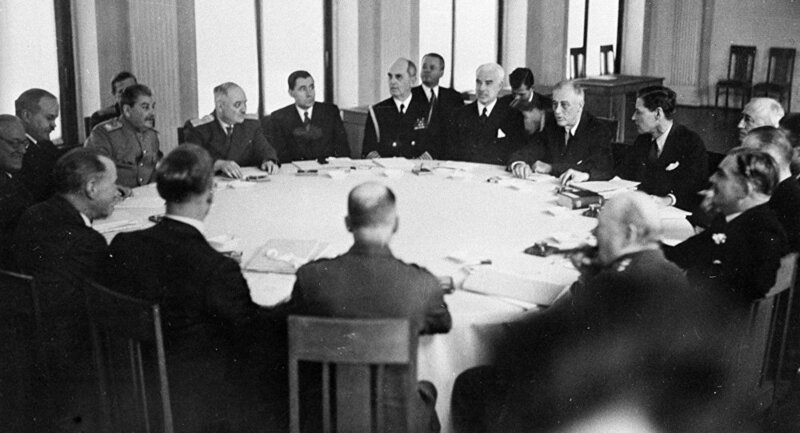 Why only a new Yalta Conference can give Russia peace of mind. While the West likes to project onto its enemies the accusation that they are congenitally impervious to change, NATO has placed itself in a historical vacuum that verges on millenarian thinking. How is it possible that the future of a military alliance set up to counter a threat that no longer exists is deemed beyond the realms of informed political scrutiny? As euroskeptics rise in popularity across the EU, at some point they must grapple with the fact that seeking to ‘take back control’ from the European Commission while simultaneously outsourcing defence to NATO is painfully inconsistent. Even in the US itself, Donald Trump has called NATO ‘obsolete,’ pointing to the disproportionate cost of NATO’s vast military budgets that fall on the long-suffering American taxpayer. A Generational Opportunity: Disgusted with imposed mass migration, big government, and political correctness, Trump’s America-First agenda mirrors the stubborn neo-Gaullist patriotism of the euroskeptics. Both movements share striking ideological similarities and are populist upsurges against globalist policies and transnational institutions- double jeopardy that jointly expose western populations to uncontrolled immigration. Yet enmeshed with the EU for decades, NATO cannot sidestep the populist tide indefinitely. With America paying 72% of NATO’s defence spending and the Alliance complicit in the migrant crisis and its Turkish EU accession spin off scam, the ideological parameters of patriotic opposition to NATO are taking on ever sharper contours. NATO R.I.P. (1949-2016): Will Turkey-US Rift Over Gulen Destroy Alliance? 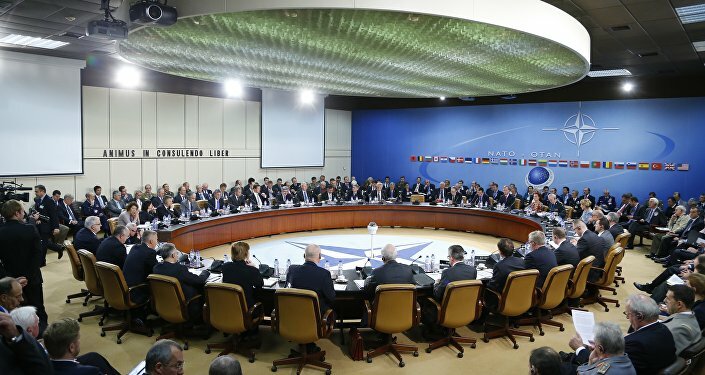 When world leaders talk in terms of ‘sacred obligations’ and couch that eschatological rhetoric with references to eternity, it’s fair to say that no matter what Russia does, and no matter how much democratic opposition laps against NATO’s walls, the Alliance is no more adaptable to change than was the medieval church. Had euroskeptics, silent during the Warsaw Summit, found the ideological imperative to democratically question NATO’s assumptions, they would have undoubtedly underscored a powerful message that would have reinforced their calls for national sovereignty. This is especially so when we consider how NATO membership is used as a stepping stone to further EU expansion, a fact well borne out by the assimilation of the eastern European states. Is it possible then to divorce the two? Of course, there is an argument to suggest that NATO’s greatest challenge comes not from euroskeptics- but paradoxically, from the Europhile establishment. Many analysts have claimed that a future centre-right Franco-German rump will form the core of a new European security pact that will somehow ease NATO out of the way. It’s a beguiling theory- with, unfortunately, little to back it up. Wouldn’t we all like something new to come along and solve all our issues? The idea that France and Poland, let alone the rest of Europe, would be willing to be led by Germany’s hand is as flawed as the belief that Germany would not act as anything other than a conduit of American influence. An EU army, if it were ever to exist, would simply be a way for NATO to outsource its workload and slash costs. Even if an EU Army were a credible NATO replacement, something which requires a herculean suspension of disbelief, and a European consensus to line up behind Germany were to be found, America would still then need to agree to disengage for this long-winded theory to have any validity in terms of paying off for Russia; in Germany itself, there is no certainty that the political system would produce someone like former Chancellor Gerhard Schröder at the helm in a time of doubt and strife. How many variables is that? Is it really possible to gamble Russia’s future, and that of the rest of us, on such tediously convoluted thinking? And if such wish-list type analysis proves disastrously inaccurate, as it has in the past with hideous consequences, who should then be blamed- the British royal family and the Illuminati? It’s a modern version of Trotsky’s belief that world revolution would break out in Germany in 1919 and promptly save the Soviet Union from encirclement, or the view in the late 1930s that Hitler was sure to focus his efforts solely in the west and engage in a war that would grind the capitalist powers to dust. Russia’s Peace of Mind: Amateur analysts aside, the current situation is entirely unacceptable. NATO’s encirclement of Russia and its militarization of the eastern flanks risk plunging Europe into the abyss of a new cold war where the risks of miscalculation abound. Neither Russia, nor the peoples of Europe, should ever be exposed to this level of mental stress, economic loss and all-out risk of nuclear annihilation. Russia deserves her peace of mind and only a redrawing of NATO to something like its 1949 initial platform, limited to the true Atlanto-European area will suffice. Blocking the way are the Pro-American lobbies, the military industrial complex which relies on NATO’s posturing to sell its weaponry, and the left-right elites and their court advisers. But what is British thinking regarding Russia, and how might this prove to be an obstacle in securing a final settlement in Europe that would allow Russia to feel valued, secure, and represented? Remember Biden’s pseudo religious language? It crops up again in the defence report where at 2.6 the report mentions an ‘ideological confrontation’ between Russia and the West, specifically a ‘clash of values and beliefs in the 21st century.’ It’s hard to see how Russia presents an ideological challenge to the West but details are sparse- just a few words. The report implies, as do EU politicians, that Crimea is central to some unstated ideological threat from Russia. This is very troubling and is a void waiting to be filled, potentially, with any kind of Russophobic bile likely to be spewed up in the future. The Russian worldview is described in the report as ‘Hobessian’- that life is ‘nasty,’ ‘brutish’ and ‘short.’ Incredibly, there is no mention of Europe’s multiple invasions of Russian territory over the last 200 years, while the 30 million dead of the Great Patriotic War receive not so much as a single word. Nothing. How is this possible in a section of an official parliamentary report that aims to establish Russia’s outlook on the world? As for Hobbes, that was exactly the view that was projected onto Saddam Hussein and seems pretty much stock in trade. The central basis of the report then is to ‘other’ Russia in a way that is no different from Nazi claims that Russia is a ‘savage’ land, the same sort of crude rhetoric that we have recently heard from Michael McFaul, the former US ambassador to Moscow. The report states that Russia’s military code is really quite different from that of the West- including on the ‘protection of civilians’- not that it bothers to explain why. While the British analysts stop short of comparing Russians to the Mongol hordes, as was done at the start of the notorious 1984 movie ‘Red Dawn’- the fact that this is the best British civil servants and their attendant ‘Russia experts’ from Chatham House can come up with is extremely alarming. It’s not a promising start. And there’s worse to come. Yet a third expert, Dr. Andrew Monaghan, states: “They (the Russians) are actually in the midst of preparations for war.” If any of this is true, why have British voters not been warned of the depths of the crisis? Could it be that these experts are either exaggerating to please Whitehall and the Pentagon, or, in what’s an infinitely more sinister possibility- preparing unwitting British parliamentarians for NATO’s preemptive march into Ukraine in much the same way as the Third Reich’s intelligence services justified Operation Barbarossa as a defensive first strike against Soviet Bolshevism? What’s clear is that while Russia is undoubtedly readying itself through the drilling and modernization of its armed forces and capabilities- there is a definite context to this: as with much else- NATO expansion, the militarization of Eastern Europe, and the circumstances of the Maydan putsch- no effort is made to contextualize Russian actions to the extent that it’s a case of lying by omission. Are the MPs supposed to fill in the blanks for themselves? Mistaken political conclusions are almost inevitable and partly explain the growing disconnect between the British establishment and voters on Russia related issues. It’s symptomatic that even though Britain is leaving the EU, the report recommended continuing with sanctions. From now on though, perhaps the EU won’t be able to use Britain as an alibi when imposing sanctions, which it did anyway, right after Brexit. Unless you believe that London and its freemasons are forcing the EU to impose sanctions on Russia, which let’s face it some people do, the only people to blame are Europeans themselves- unless of course that’s too awful a truth to admit. It’s hilarious to think that Britain ever exerted much influence in Europe beyond being America’s lonely doormat: the wretched thing about conspiracy theories is they make the stupid even stupider. Not of course that London hasn’t exerted a malign influence on the sanctions issue or that, as we shall see, Britain isn’t capable of spinning conspiracy theories of its own. But back to the report: British people have been generally supportive of President Putin’s contribution in the fight against international terrorism and it’s highly disappointing to note that when the defence committee considered Russia’s recent formation of a National Guard, again, the context was entirely misrepresented: Michael Fallon claimed that the Guard was “a chilling message to Russian society that the regime (sic) was no longer prepared to tolerate any kind of overt opposition.” Is that how Russian people saw it, or how Michael Fallon wishes they viewed it? The rationale for the National Guard’s formation had, in fact, everything to do with the need to streamline counter-terror forces in a way that will allow Russia to respond to the globalized terror threat. Despite this, and despite the universal respect Russian people have for their government’s decision to protect them from terror, the report notes that Air Marshall Stuart Peach calls the National Guard’s founding ‘a worrying development.” It’s an odd reaction- and one that’s particularly ironic given the fact that British people, like Europeans generally, feel completely exposed to the terror threat posed by religious psychopaths and would heartily welcome a British version of the National Guard. While much of the remainder of the report looks at Russian nuclear policy and military capability, there is a separate section on ‘Russian Disinformation’ where RT and Sputnik are accused of “spreading propaganda.” Inevitably, no mention of the BBC, CNN, or any other western news service is presented to add some standard of measurement. RT and Sputnik are out there alone, supposedly doing something completely different, and are therefore guilty of subversion. It’s a sorry commentary on the MPs naiveté that the report’s minutes show no push back: Russophobia quite simply seems to be the default setting and the Russia experts do their best to keep everything in lock gear. And that’s not hard as everything is in perfect free fall with no media standards of reference whatsoever. NATO’s Social Media Offensive: Curiously, the only standards of reference to RT and Sputnik are provided by NATO itself: in a clever double flip, RT and Sputnik are used to justify NATO propaganda. Is that why RT and Sputnik aren’t compared to the mainstream media? At 132 in the report, Mark Laity, SHAPE’s Chief of Strategic Communications states: “NATO is trying to engage with Russian speaking communities who need to be influenced.” In the next breath, the report notes that the British Embassy in Russia uses social media to deliver ‘a mix of political and cultural content’ and reaches 200,000 citizens per month. The number of UK in Russia Facebook likes is quoted along with the Vkontakte audience. Just two short paragraphs down, where Russia’s RT and Sputnik budget is stated as between $600 million to $1bn, the report then goes into some detail about the MOD’s newly established 77 Brigade, a British Army psychological operations unit. Again bemoaning Russia’s media budget, even 77 Brigade isn’t deemed enough to counter Russian ‘propaganda.’ Where to begin? Somehow Whitehall’s defence report, and by extension NATO, have conflated social media with hybrid warfare. The Independent on Jan 31st 2015 ran the following headline- ‘New British Army Unit to Use Facebook and Twitter in Psychological Warfare.’ Is this limited to ratty-arsed terrorists in Middle Eastern hell holes, or are thoroughly decent Russian citizens unknowingly part of the equation? The report suggests they are and that the justification for this is to counter RT and Sputnik. Yet how has it come to pass that RT and Sputnik, wholly legitimate media outlets, can possibly be compared to a British Army psy-ops unit with anything like a straight face? Pomerantsev, a cynically hipster author who wrote a pair of sensationalist travel accounts of modern Russia, made it then to Whitehall only to tell a British defence committee, of all people, that Russia’s fears about NATO are as hallucinatory as those of the drug-hazed characters he encountered on his surreal travels. The MPs couldn’t have possibly imagined that they had been exposed not to some diligently prepared intelligence review compared by a latter day and thoroughly conscientious George Smiley- but a neon bathed exercise in urban Gothic writing. It gives even conspiracy theorist cranks a bad name. Is there a way out, not only for Russia, which is being unfairly treated, but for all of us? If these are the attitudes of a British parliamentary defence committee, then we can assume that the rot within NATO has run deep: unlike the Soviet Union and the Warsaw Pact, NATO is incapable of reform. While leftist fringe movements like ‘NO to NATO’ have indeed taken a stand, euroskeptics seem to have difficulty in processing the linkage between the EU and NATO. However, notwithstanding the latter point, the EU risks breaking up as the Union’s security situation rapidly deteriorates and Madame Le Pen may yet lead the French Republic against Brussels: but what comes after that hasn’t yet been thought out. 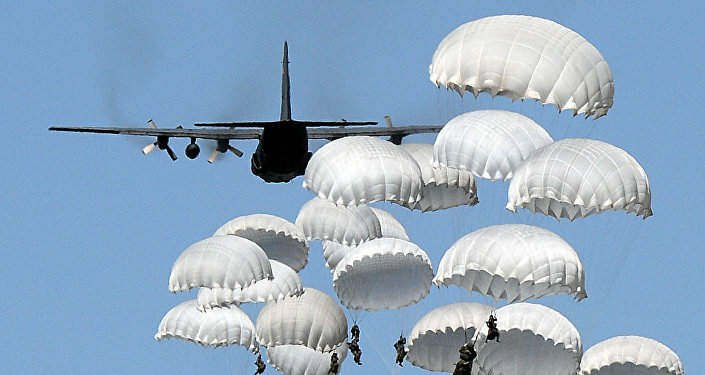 If NATO is to survive, it must adapt as the EU collapses. But from the very rubble of the European Union, a new and safer Europe is possible. What might it look like? What might euroskeptics soon suggest as they come within sight of their dream of freeing their countries from the EU forever? Nothing is cast in stone and precisely because the EU is such a monolith, few have thought much beyond it, particularly so in defence terms. Euroskeptic policy is embryonic and that gives us the chance to explore possibilities. The outline suggested here is no more unworkable than that of wholly replacing NATO with a Franco-German military bloc: in fact, the proposal is far more practical and realistic. Let’s be crystal clear: Russia needs a new Yalta Conference. In 1991, key issues were written down on scraps of paper, or given as oral promises. History moved with such startling rapidity, the world was cheated of the rightful chance to address critical security issues in Europe via an international conference. Since then, the NATO-Russia Council has proved to be highly ineffective and liable to autism whenever it’s needed. Too much has been left undone. And that’s dangerous. We all deserve better. Indeed, if properly managed, a new Yalta Conference will make us all winners. Because Russia is within her historical borders, the firm obligation is on the NATO countries to objectively address Russia’s concerns: pretending those concerns are unreal, we have seen how that lie has been peddled in Whitehall already, is condemning us to hypocrisy and leaves us all vulnerable. Firstly, NATO must drawback to the Atlantic fringes to be centered upon Great Britain, Canada, and the United States. We must stop projecting our English speaking Atlantacist civilization onto continental Europe where we run the terrible risk of confusing our civilizational values with NATO’s security concepts: we see this with the Alliance’s endless march eastwards which is based on a total perversion of the Atlantic identity concept. No country east of the Franco-German border should be a NATO member. Secondly, Germany should be partially demilitarized. This will reassure Germany’s neighbors that a 4th Reich will remain an impossibility and reconcile Germany’s economic preponderance with its military role. Germany will be like a giant version of Switzerland: prosperous, centrist, and neutral. No German forces will be stationed east of the former DDR border. NATO on the far western fringes and Russia in the east will monitor the agreement but have no further military involvement in the Federal Republic which will be an entirely free sovereign state. Germany’s army will be limited to 100,000 men- which, by way of comparison with the British Army’s current troop strength of 87,610 is more than favorable. Indeed, the balance of armed forces is adjustable according to population on former EU territories. Thirdly, Eastern Europe is to pay exclusively for its own defence with the entire region east of the former western borders of the DDR to the Russian frontier declared a peace zone. The peace zone will give Russia a strategic depth of up to 1500 km. Fourthly, whatever remains of the EU will become a loose trading bloc wholly decoupled from NATO. Of course, we do not know the precise formulation euroskeptics will envisage as the EU goes into terminal decline and Europe enters a period of dissolution. But history teaches us that transnational bodies are doomed to collapse sooner or later and that it is a crime against humanity for the EU-NATO Axis to attempt to extend its lifespan at Russia’s expense. While elegantly simple, the four proposed outcomes of a new Yalta Conference reverse the historical injustices perpetrated against Russia since 1991. What we need are sensible solutions that will build a safer world, because when it comes to working for peace in Europe- we are all Mother Russia’s children.